Your body needs a lot of different vitamins and minerals to stay healthy. This includes keeping your mouth in tip-top health. Your child has developing body parts galore, including the permanent teeth developing within their jaw. The more varied and nutritious of a diet they eat, the stronger and healthier those teeth are going to be when they erupt. The goal of every parent is to include a full rainbow of colors into your child's diet on a daily basis. Few parents are able to accomplish this all the time, but the more often you can do it, the better off your child's health is going to be. 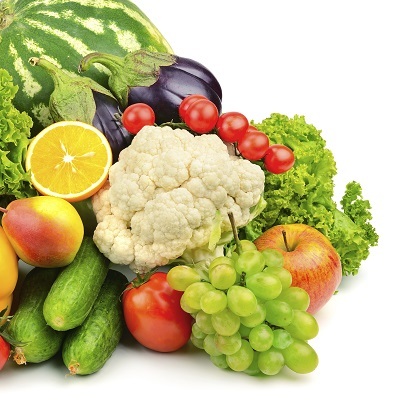 You want to have fruits and vegetables of each of the major color groups. Reds include watermelon and rhubarb. Orange includes carrots and oranges. Yellows are squash and pears. Greens are beans and leafy lettuce varieties. Purples include tomatoes and eggplant. Berries come in many varieties and can cover multiple colors each day. The foods should be eaten whole whenever possible, or used in their whole form. When you are struggling to get your child to eat a specific color, vary your attempts. There are plenty of fruits and vegetables that can fit into any color category. When in doubt, try juicing the colors and see if your child will eat them combined. It doesn't matter how you get the foods into your child nearly as much as it does that you get those foods into your child. For more tips on what type of foods your child's diet may be lacking, contact our office. The more you can talk to them and keep them in the loop, the more they are going to be able to help your child meet their nutritional needs.